A new Kateri Circle was formed at St. John Evangelist Parish and St. Kateri Tekakwitha Mission, Houck, on February 9th, 2014. The meeting was well attended. Kathy Laughing, Vi Blackman and Patsy Billison, Kateri Circle members from St. Michaels and Fort Defiance, were present to explain the purpose and activities of the organization. During meetings, Kateri Circle participants try to learn more about the spirituality of St. Kateri Tekakwitha and reach out to other people in their parish and area. “The Houck Mission was named after St. Kateri Tekakwitha and this is a good way for us to get involved,” said Marlene Apachee, the newly-elected secretary. Betty Mehan, the new president of the group, agreed. “Many showed up for this organizational meeting which is really good,” she said. “We will need a focus and will learn together as we progress,” added Linda Begay, treasurer. Newly elected officers are Betty Mehan, President; Rosemary Ortega, Vice president; Marlene Apachee, Secretary; and Linda Begay, Treasurer. Sister Josephine Goebel, Parish Life coordinator, has encouraged the Kateri Circle organization to further lay spirituality and involvement in church. 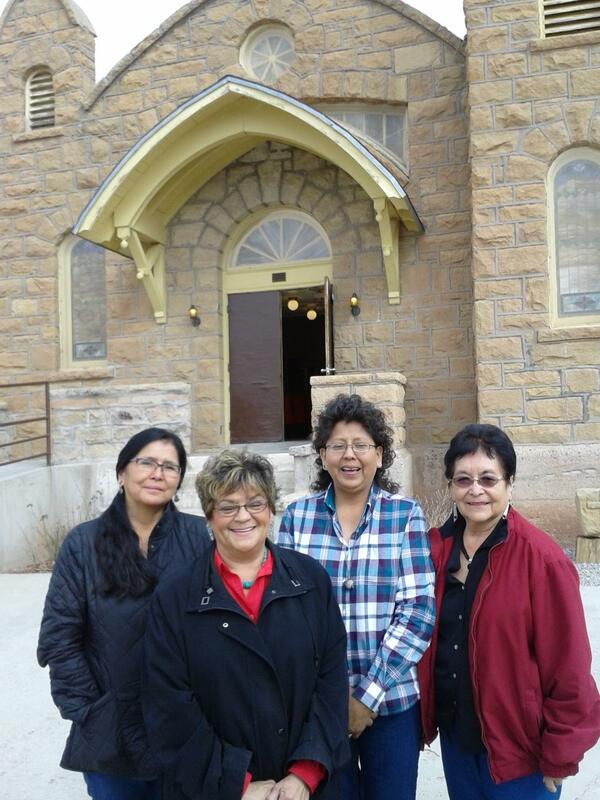 Many of the Native American parishes in the Diocese of Gallup have had Kateri Circles for many years. Various activities in which they have been involved include jail ministry, food baskets to needy people, spirituality days, Eucharistic services, celebrating St. Kateri Tekakwitha’s Feast Day on July 14 at the cathedral, annual retreat days at Sacred Heart Retreat Center, as well as Eucharistic Ministry and other ministries in their parishes. Kateri Circles affiliate with the National Tekakwitha Conference, and people may attend yearly national conferences. This year’s conference will be held in Fargo, ND from July 23 to July 26.